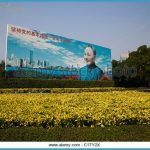 This may strike you as a rather eccentric inclusion as a tourist attraction because it’s just what it says: a 24-sheet billboard at the intersection of Shennan Avenue and Hong Ling Rd. 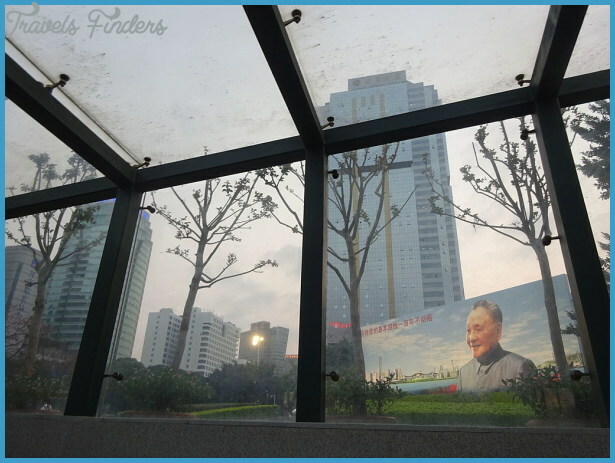 It carries a picture of Deng Xiaoping against an idealised picture of a futuristic Shenzhen the wings of the Civic Centre are very prominent, and Deng Xiaoping’s slogan, Grasp the Party’s basic line. Do not waver for one hundred years. In other words, this is a propaganda poster of a type that you’d think that the average Chinese would be heartily sick of. And yet on any Sunday you can see crowds of ordinary people gathering in front of it and having their photo taken. 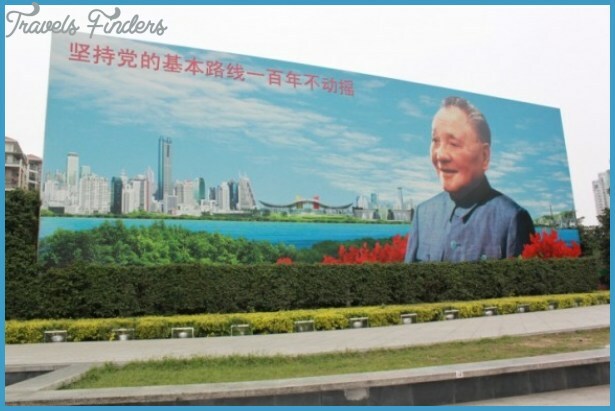 We include the billboard not because of what it looks like but because of what it says about the attitude of average Shenzhen people towards Deng Xiaoping. 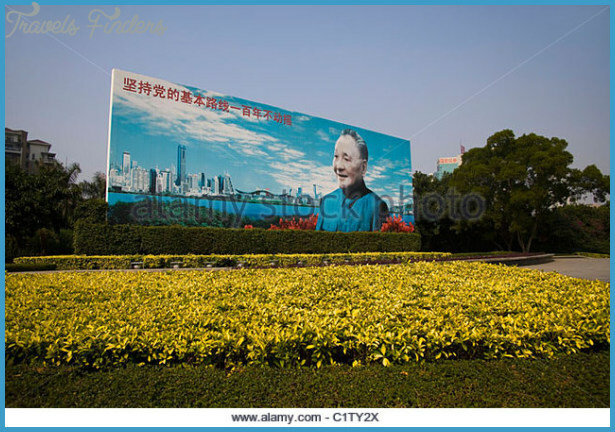 Shenzhen people hold Deng Xiaoping in great and genuine affection. 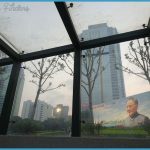 They believe that he brought the chaos of the Cultural Revolution to an end and that without him there would be no Shenzhen and none of the prosperity that they so conspicuously enjoy. 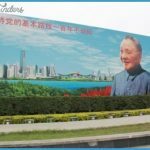 Shenzhen taxi drivers are quick to draw comparisons between Deng Xiaoping and Mao Zedong, to the extreme detriment of the latter. Senior government and Party officials think the same way but, for the sake of stability, are not prepared to make such ground-shaking opinions public. So, the great public votes with its feet. 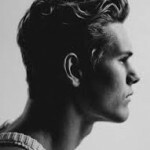 Even the ideas of the basic line and the promise of an unchanged century seems to ensure that their prosperity and peaceful enjoyment are safe from strife and Maoist struggle.